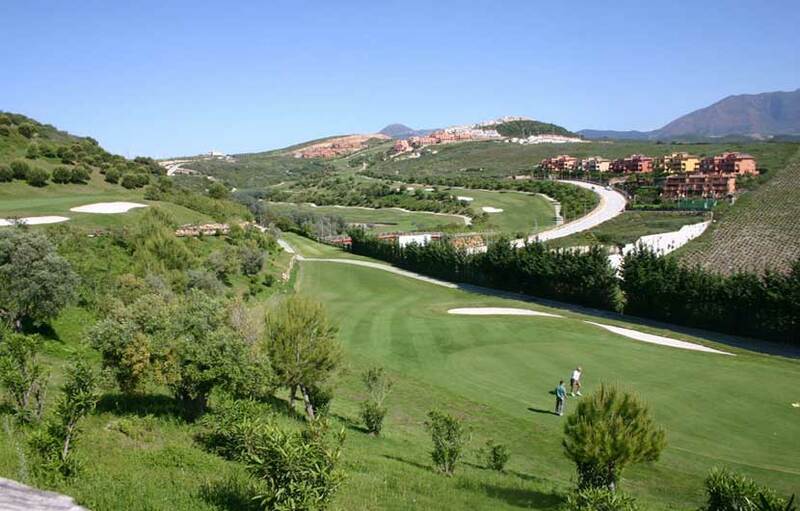 Dona Julia Golf is situated within the spectacular Casares complex between the chic beach resort of Marbella and the luxury Sotogrande Urbanisation on the Costa del Sol, just 45 minutes from Malaga airport and few miles from Gibraltar. 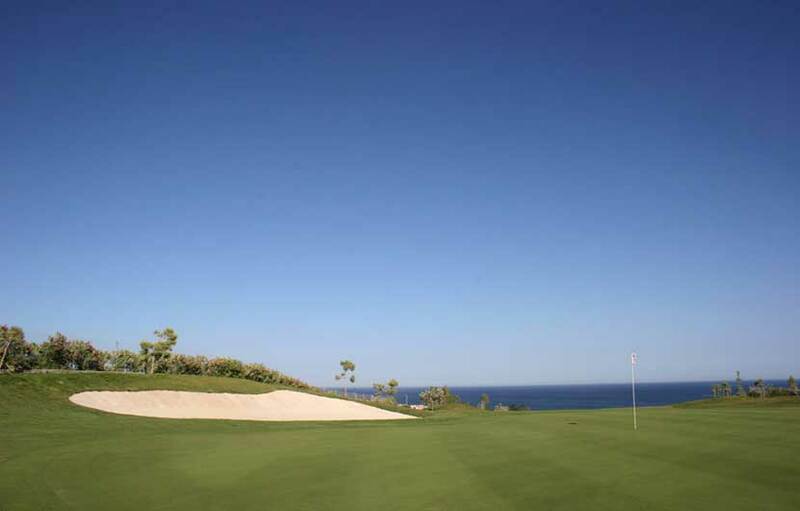 Dona Julia is an impressive 18 hole par 71 course , 5,976 meters in length and built to the standards of the United States Golf Association (USGA) in terms of tees, bunkers, drainage and greens. 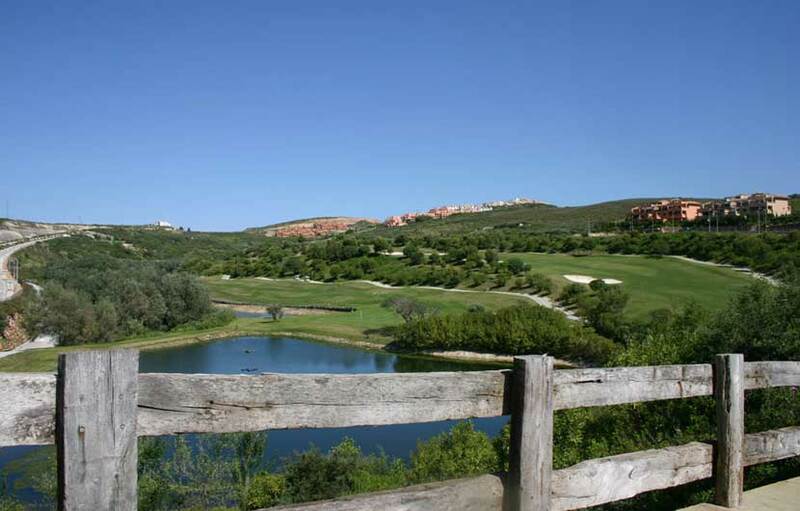 The course was designed by the prominent Malaga born architect Antonio Garcia Garrido. It has been perfectly integrated into the natural environment which is set in an area offering magnificent views of the Mediterranean Sea and the Coast of North Africa. 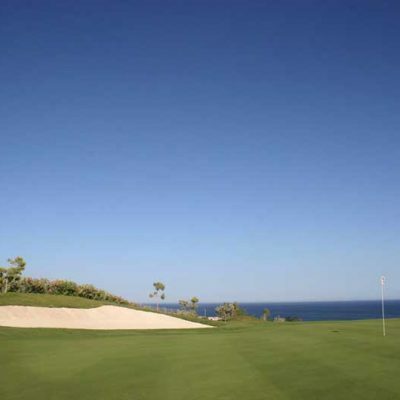 One of the outstanding characteristics of Dona Julia is playing on huge well manicured greens. Planted with Agrostis Pen – G2 grass, each an average of 700 m2 in size with and some measuring a massive 1000 m2. The front and back nines are quite different for each other, offering the golfer two varied rounds which are suitable for all players of all levels. The front nine is the more difficult of the two as it winds through trees, rivers and lakes. The back nine is played on a slight incline and opens up and is more straightforward. 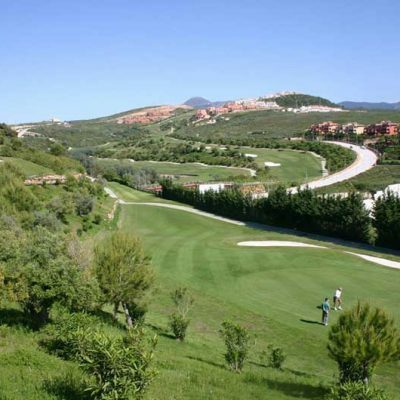 Precision play is one of the keys to having a successful round at Dona Julia with its three par 3’s and four par 5s, the course offers golfers the possibility of playing a wide range of shots. It is not overly long, just under 5700 meters from the yellow tees, the longest hole is the 8th at 576 meters and the shortest, the par 3 – 4th at just 125 meters. There is a stylish clubhouse and a perfect place to unwind after the round in the bar, or out on the sun-drenched terrace. 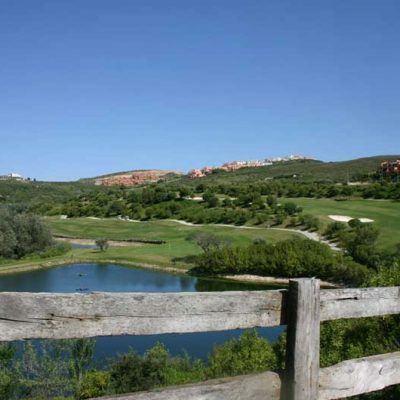 Dona Julia is just five minutes away from its famous neighbour, Finca Cortesin.